Once all of the pods, the Redcat speaker, and the teacher microphone have all been properly set up, virtually all communication between the teacher and his or her students can be controlled with the teacher remote. Most of the sound picked up by the teacher microphone will be transmitted through the Redcat Speaker, while some of it will be transmitted through the pods' speakers. 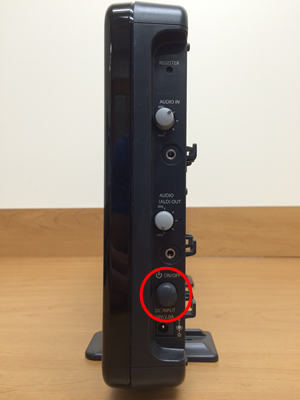 For instructions on how to set up the Flexcat audio system, please refer to the Initial Set-up article within this section. 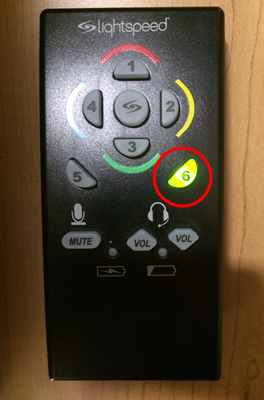 Press the center button on the remote to address all of the pods collectively. This button will light up when all pods are being addressed. 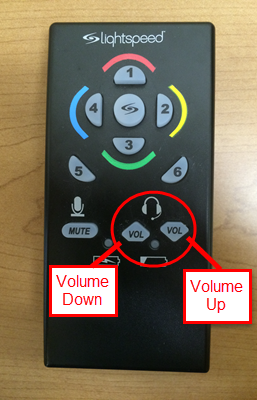 Note: You will not be able to use the teacher remote unless the microphone and Redcat Speaker are turned on. Press one of the specific pod buttons to address an individual group or table. The button corresponding to the pod you are addressing will light up. 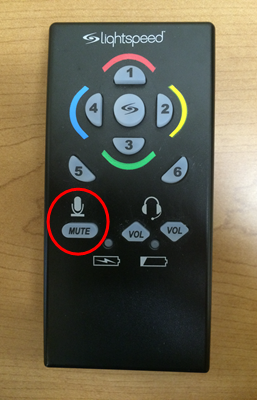 Pressing the Mute button on the remote allows for a one-way conversation. The teacher can hear what the students sitting around an individual pod are saying, but the teacher's microphone will be muted. 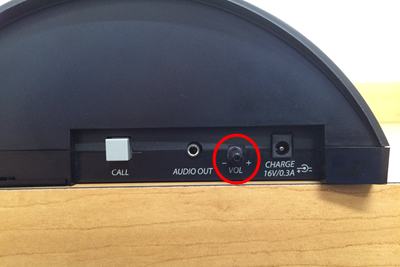 Press the indicated Volume buttons to adjust the volume of the earpiece. 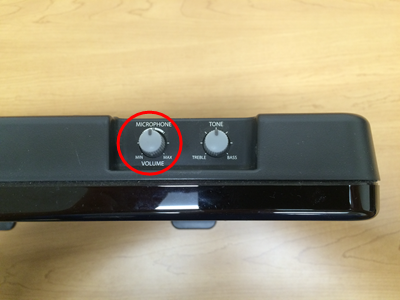 Turn the Redcat Speaker on and off with the indicated Power button. Adjust the tone of the speaker here (turn right for more bass, turn left for less bass). 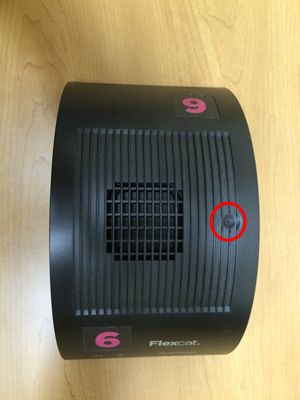 Warning: Do not stand too close to the Redcat Speaker when both the speaker and the microphone are turned on. This interference between the two devices will produce a high pitched screech. Try to maintain at least a seven foot distance between the microphone and the Redcat Speaker. Students sitting around a pod will hear what the teacher is saying through the pod speaker. The microphone that picks up what the students are saying and transmits the sound to the teacher's earpiece is on the pod. Adjust the speaker volume of the pod as needed. Press the Call button on the side of the pod to silently ask the teacher for assistance. When pressed, the pod button on the teacher's remote will flash repeatedly. 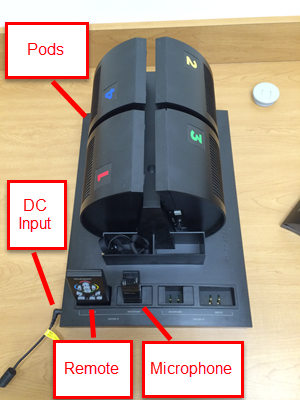 After every use of the Lightspeed Flexcat audio system, the pods, as well as the teacher tools should be turned off and placed back on the charging station. Note: The pods do not have to be in any particular order when charging. An additional two pods can be charged using the ports on the side of the charging station (adjacent to the DC Power Input). 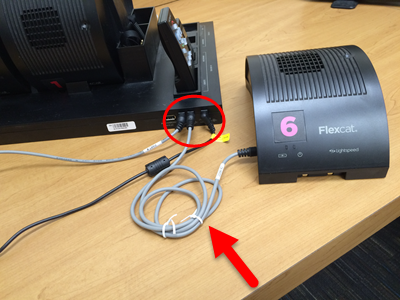 Plug one end of the indicated gray cord into the pod, and the other end into the charging station.